I'm a major Sarah Dessen fan. Ever since I first picked up The Truth About Forever, I've read just about every single one of her novels. It was only recently I discovered that I hadn't read Dreamland - and my friend Katelyn was wonderful enough to send me a copy of this novel! Dreamland is different from Sarah Dessen's other novels, if only because I felt like it was a little darker and well, told in a very "dreamy" manner. Though I may sound a little negative, trust me, I actually really liked this novel! It may not necessarily be my favorite, but it did make an impact on me after I'd read it. Sarah Dessen has again proven to me that she is the master of taking tough issues and not being afraid to expose them for what they really are. Dreamland is many parts sad, yet ends brimming with honesty and hope. I think it has a lot to do with what I was experiencing at the time I read Dreamland, but I really felt like I could relate to Caitlyn. Yes, the issues we face(d) are different. Yes, our responses to them are also different. But her crazy mix of emotions, her feeling of general invisibility to the world around her and the need to forge a path that was uniquely hers - these things I definitely could understand. Reading about her experience was heartbreaking - but it also raised my awareness and my level of understanding. My heart broke quite a few times reading Caitlyn's story. Sure, there were definitely moments when I felt extremely glad and really hopeful for her and I felt like it reached a realistic, just right conclusion at the end - but a lot of this novel was just really, really sad to me. It often felt like I was submerged in "dreamland" with Caitlyn, with the struggles and feelings keeping me prisoner alongside her. It took a bit of time for the novel to pick up in terms of story for me though. I honestly struggled a bit with the beginning (starting at chapter one, not the very first bit), but it was definitely worth it in the end. Read this book if you're a fan of compelling, honest, contemporary YA novels. Sarah Dessen is definitely an author I would recommend to all readers interested in this genre, as she does it so well. 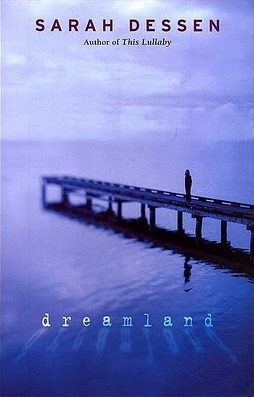 Dreamland is a gripping novel that will tug at your emotional heartstrings. Sometimes, we need books to tug at our emotional heartstrings. No one does it better than Sarah Dessen - that's fo sho! I need to read Sarah Dessen's books. I know this and yet it hasn't happened yet... You've definitely convinced me to try soon! 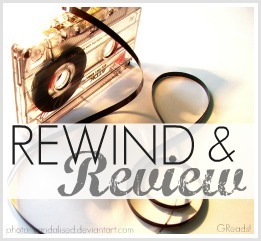 :) I love having my emotional heartstrings tugged ;) Thanks for the review! I just bought this one not too long ago. Hoping to get to a Dessen book soon. Still haven't read one of hers and am so ashamed of it! I feel the same way, this was one I found out later that I hadn't read (how did we miss it?! oh well...) and immediately checked it out of the library to fix that blunder. It is definitely darker than most of Dessen's novels (especially with Rogerson...), but I appreciate the honesty she approached the situation with. Like you as well, not a favourite, but still a great book. Sarah Dessen is always going to be one of my favorite authors. I've generally liked/loved her books, and this one is no exception. Despite the darker tone, her writing style still manages to shine through. Thank you for sending it to me! You've helped me read the one Dessen book I haven't read, apart from What Happened to Goodbye (which I will start soon, I swear). It was good, despite not being my favorite! Ooh, suggestion! Try out The Truth About Forever and Just Listen - those are my favorites from her. Yes, I hope you get to read her work soon, because she's one of my favorite authors. web page who has shared this great post at here.